has continued to be a dazzling display of color, structure, and life. This garden was installed under the leadership of graduate student, Nicole Cavender and Professor Michael Knee along with many Chadwick volunteers. 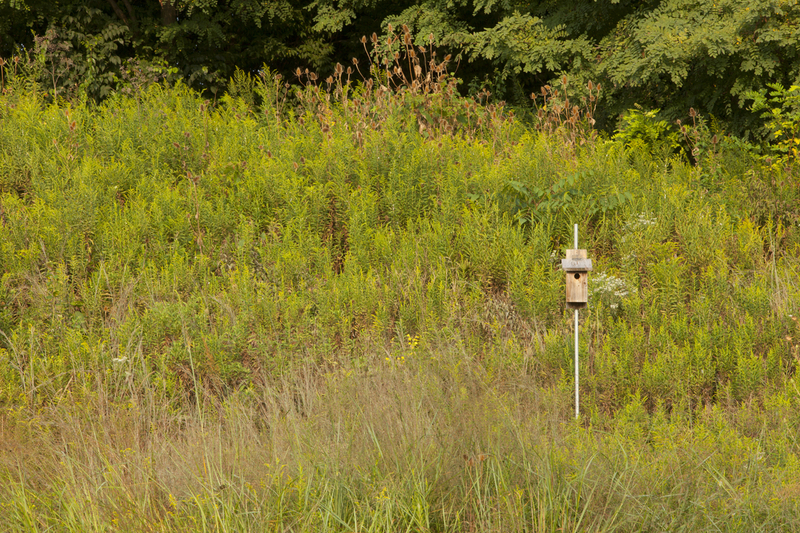 Chadwick Arboretum has created a Monarch Butterfly Waystation in and around the Prairie Plant Research site, where these migratory butterflies can produce successive generations and sustain their migration. Each fall, hundreds of millions of monarch butterflies migrate from the United States and Canada to overwintering areas in Mexico and California where they wait out the winter until conditions favor a return flight in the spring. The monarch migration is truly one of the world's greatest natural wonders, yet it is threatened by habitat loss in North America – at the overwintering sites and throughout the spring and summer breeding range. Visitors can stroll along this hillside garden at both the base and the summit to view the wonderful array of plants and wildlife. 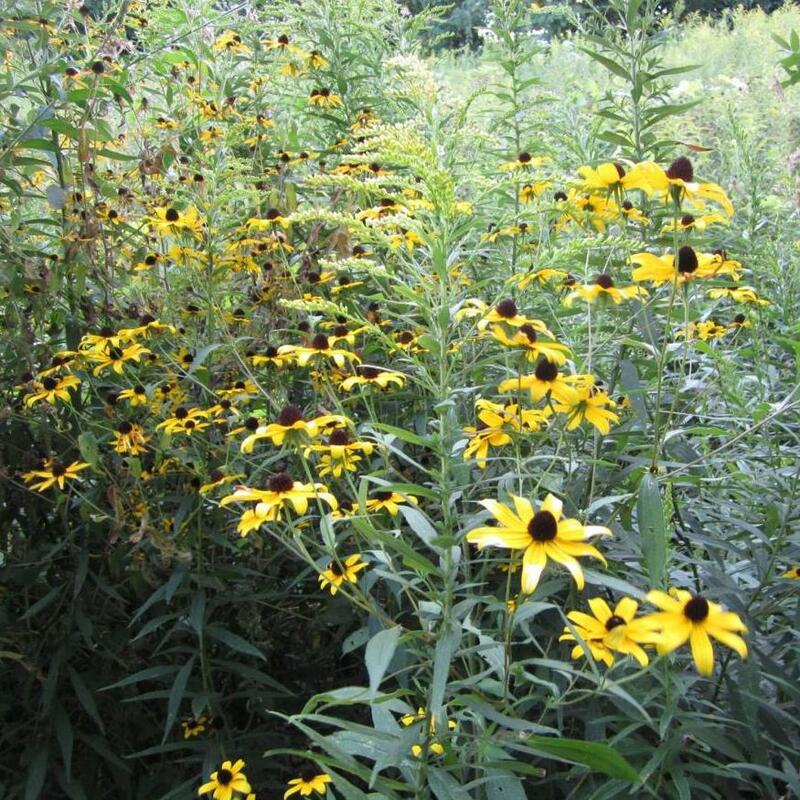 At peak bloom during the summer months, coneflowers, milkweed, asters, prairie dock, and various native prairie grasses provide color and structural interest as well as attracting a wide array of wildlife. 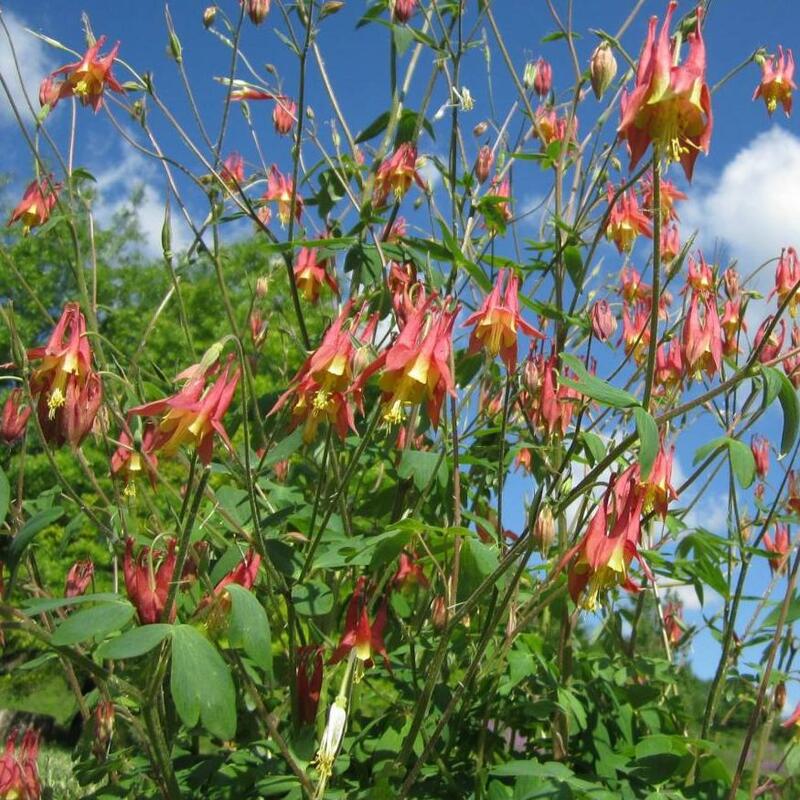 Whether touring the garden in spring, summer, fall, or winter you are provided with an ever changing ecology of the flora and fauna. An organized burn of the prairie was held in spring of 2003. Controlled fire is a beneficial tool in the sustainability and management of a prairie. It is believed that Native Americans used fire to improve game habitat and to increase nut and berry production. Burning removes the excess green matter, increases available nutrients, exposes the soil allowing sunlight to warm the soil quicker and extends the growing season. 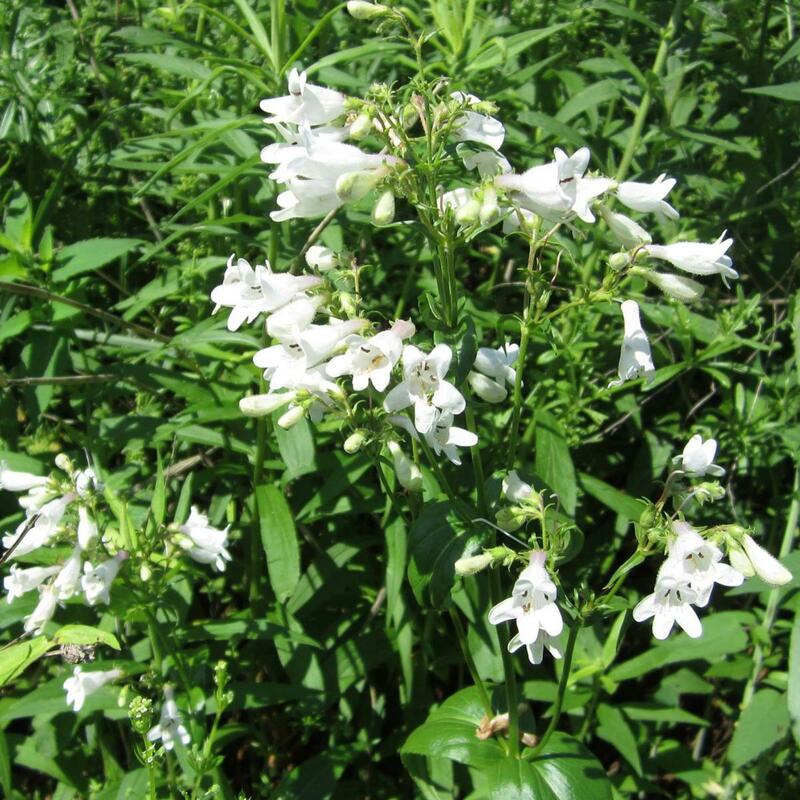 In addition, it suppresses weeds and non-native invasive grasses and kills many woody invasive plants such as bush honeysuckle. Monarch Butterfly Waystations are places that provide resources necessary for monarchs to reproduce and to sustain their migration. Without milkweeds throughout their spring and summer breeding areas in North America, monarchs would not be able to produce the successive generations that culminate in the migration each fall. Similarly, without nectar from flowers these fall migratory monarch butterflies would be unable to make their long journey to overwintering grounds in Mexico. The need for host plants for larvae and energy sources for adults applies to all monarch and butterfly populations around the world. Development (subdivisions, factories, shopping centers, etc.) 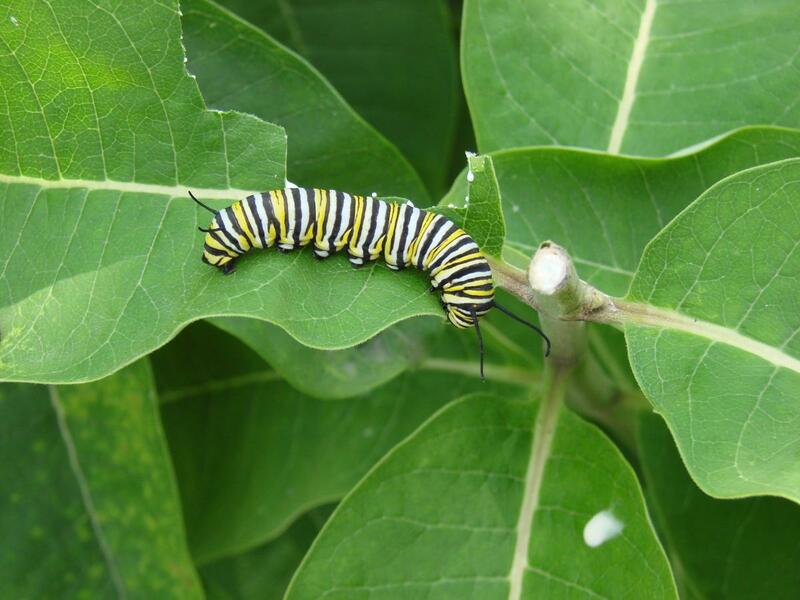 in the U.S. is rapidly consuming habitats for monarchs and other wildlife at a rate of 6,000 acres per day – that's 2.2 million acres each year, the area of Delaware and Rhode Island combined! The use of herbicides and frequent mowing along roadsides has converted much of this habitat to grasslands – a habitat generally lacking in food and shelter for wildlife. 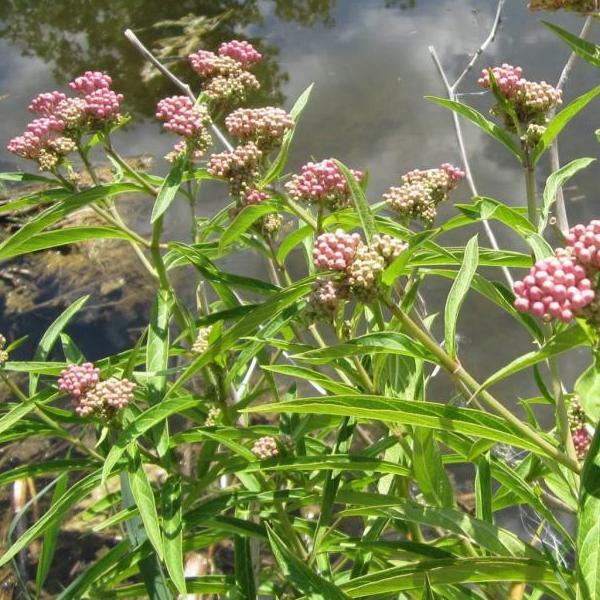 Although some states have started to increase the diversity of plantings along roadsides, including milkweeds, these programs are small. 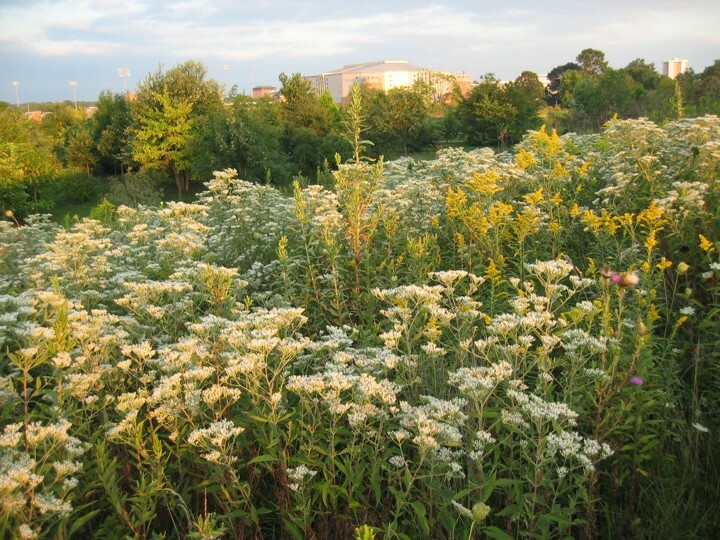 Unfortunately, the remaining milkweed habitats in pastures, hayfields, edges of forests, grasslands, native prairies, and urban areas are not sufficient to sustain the large monarch populations seen in the 1990s. Monarchs need our help. 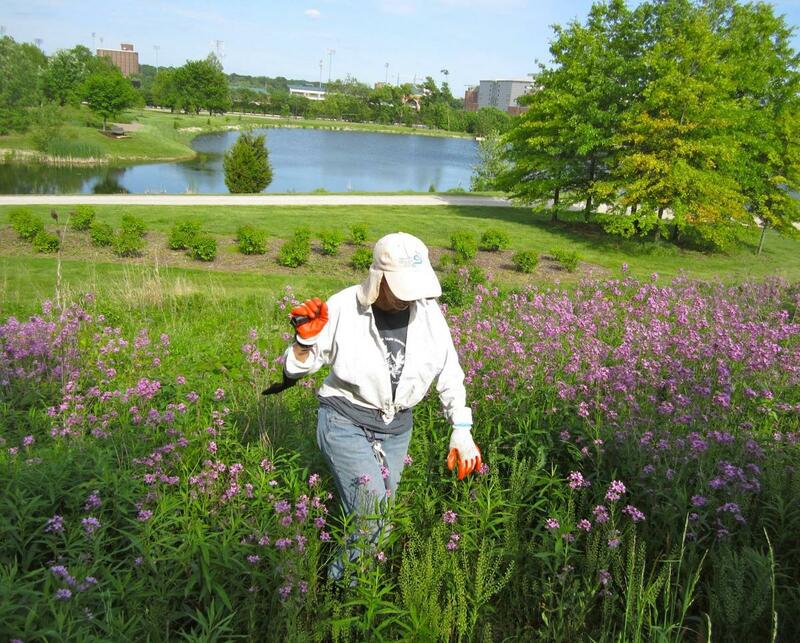 In 2014, Emeritus Researcher Sharon Treaster recruited Chadwick Arboretum volunteers to help plant a pollinator’s garden at our Arboretum North site on the hillside to the west of our research lake. 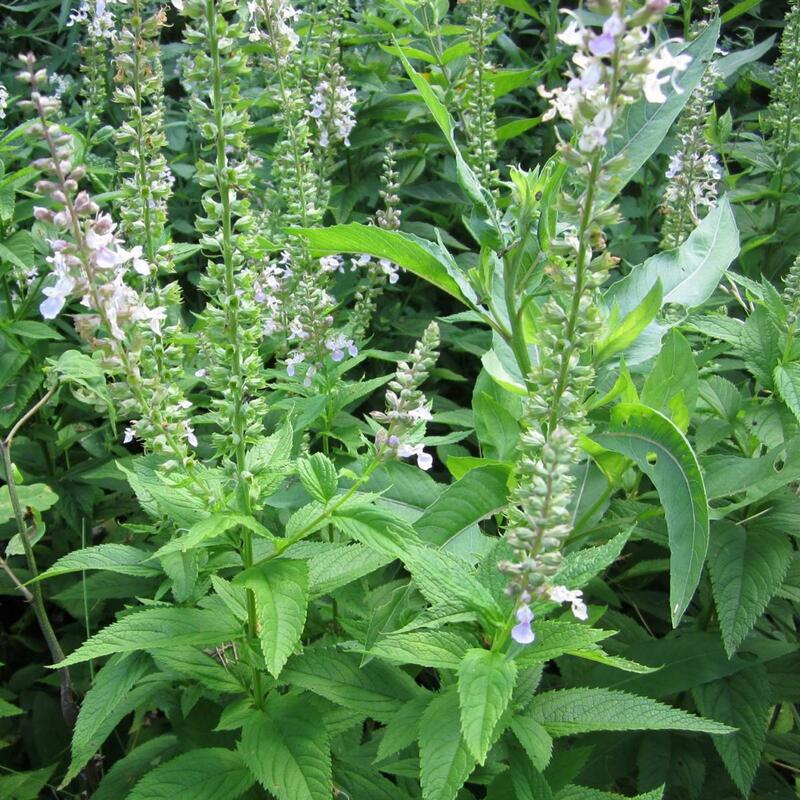 This is part of our efforts to establish a Monarch Butterfly Waystation in our gardens that will provide nourishment for the caterpillars and butterflies that are under stress. 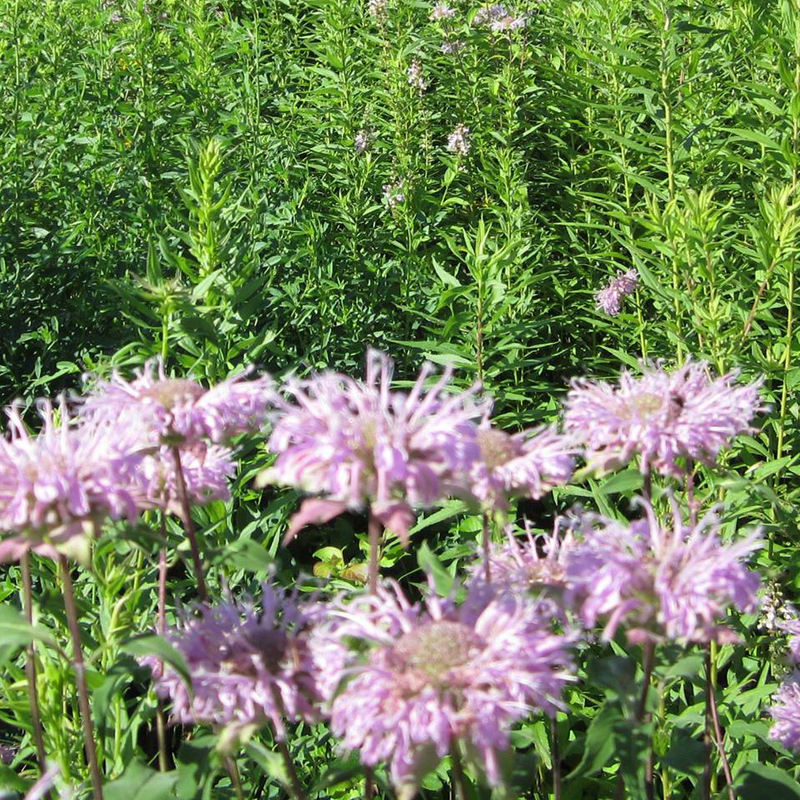 The plants installed included Golden Alexander, Rattlesnake Master, Stiff Coreopsis, Purple Prairie Clover, Culver’s Root, Purple Coneflower, Meadow Blazingstar, Prairie Blazingstar, Little Bluestem, and Prairie Dropseed. More plants will follow. 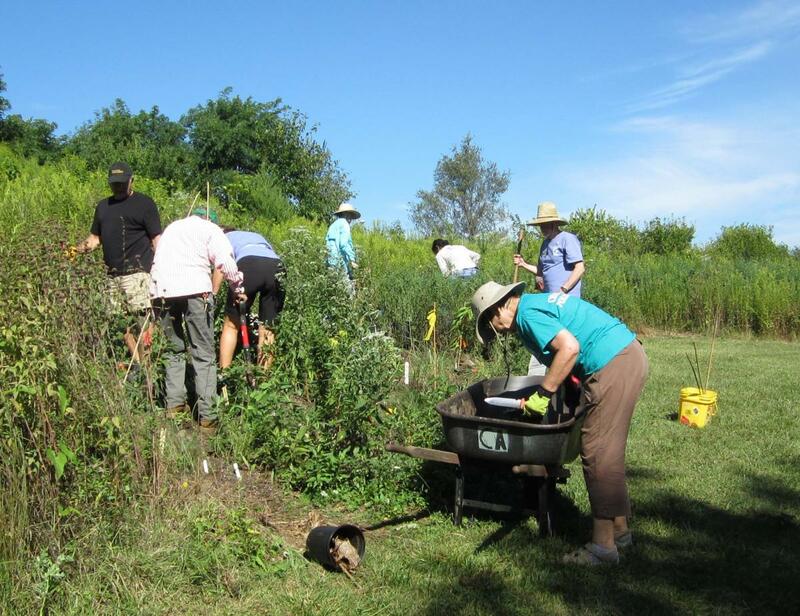 In the past Sharon has led groups at the site to remove honeysuckles and other invasive plants. To offset the loss of milkweeds and critical nectar sources we need to create, conserve, and protect milkweed/monarch habitats. We need you to help us and help monarchs by creating Monarch Waystations in your own gardens, at schools, businesses, parks, zoos, nature centers, along roadsides, and on other unused plots of land. 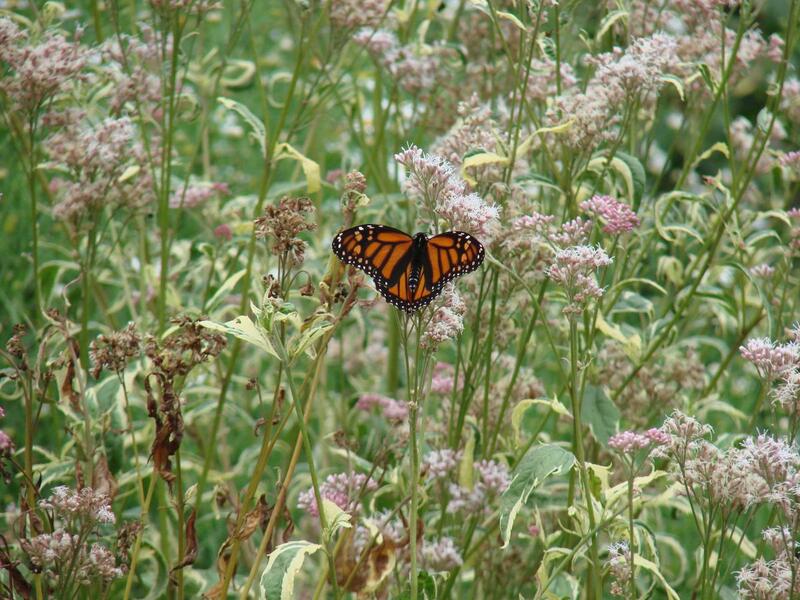 Without a major effort to restore milkweeds to as many locations as possible, the monarch population is certain to decline to extremely low levels. 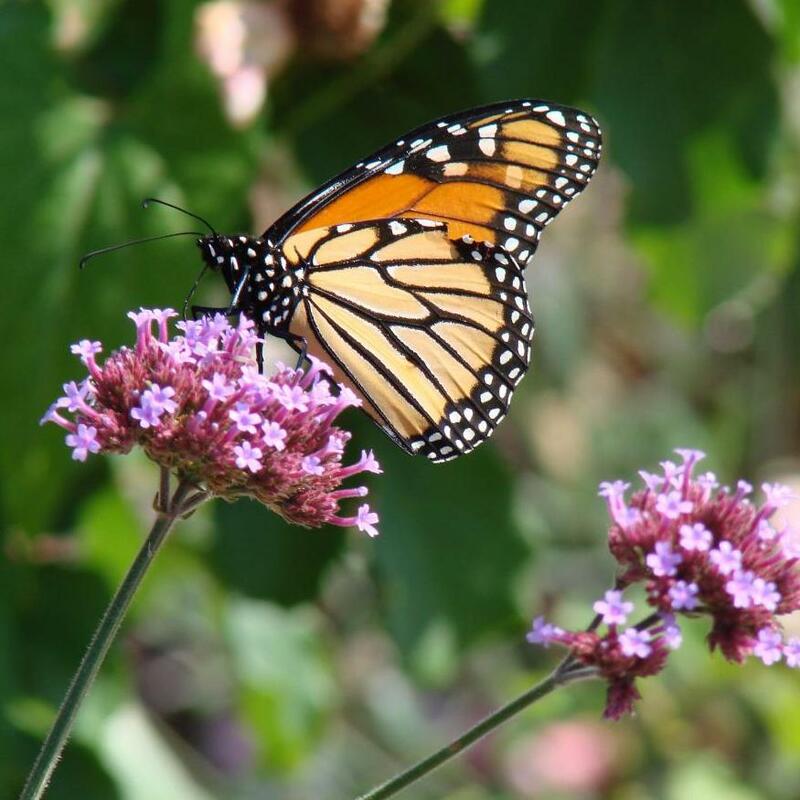 By creating and maintaining a Monarch Butterfly Waystation we are contributing to monarch conservation, an effort that will help assure the preservation of the species and the continuation of the spectacular monarch migration phenomenon. An additional location where the Monarch butterflies are reproducing in our gardens happened rather unintentionally. We discovered a patch of wild and somewhat aggressive Cynachum laeve (altername name, Ampelamus albidus – commonly called honeyvine milkweed) in a small plot alongside the parking lot near Howlett Hall. This small garden included Verbena bonariensis (Brazillian verbena) which is a favorite of many butterflies. 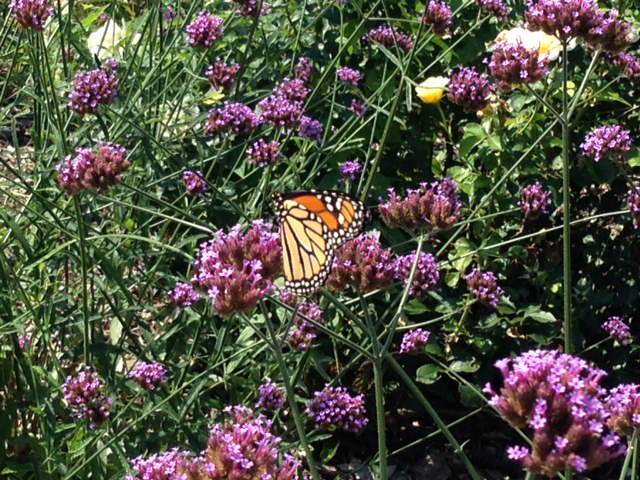 While weeding the area, students discovered several Monarch caterpillars enjoying the milkweed and Monarch butterflies enjoying the verbena. While this particular Monarch Butterfly Waystation was unintentional, we are delighted with the appearance of these beautiful butterflies. 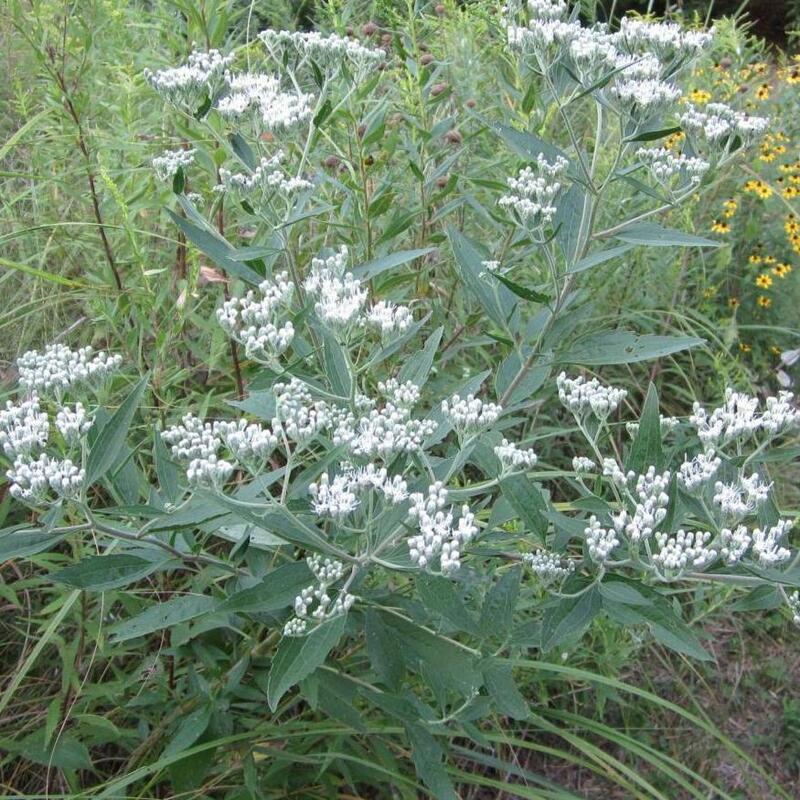 We decided not to remove the aggressive honeyvine milkweed to allow the butterflies to mature.